The weather for my photo shoot this weekend could be described as varied at best. 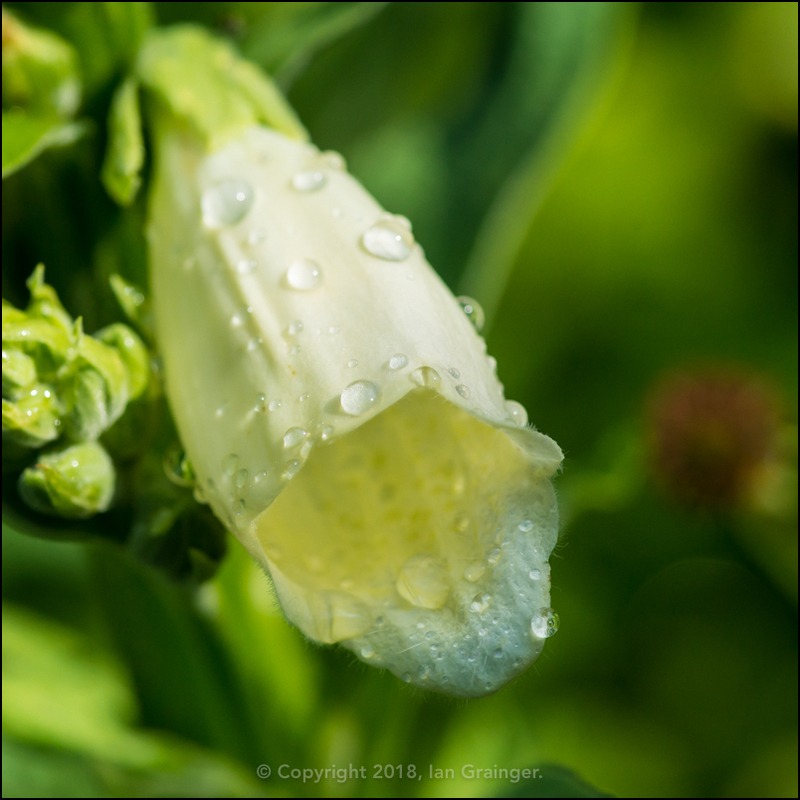 I didn't hold out much hope for capturing any of my bug buddies as the early morning thunder promised to bring some imminent downpours. However, it remained warm, and the occasional glimpse of sunshine meant that the insect populous may come out of hiding at any time. So, I spent the morning dodging showers in dad's garden, and managed to track down a few friends in the sunnier moments. 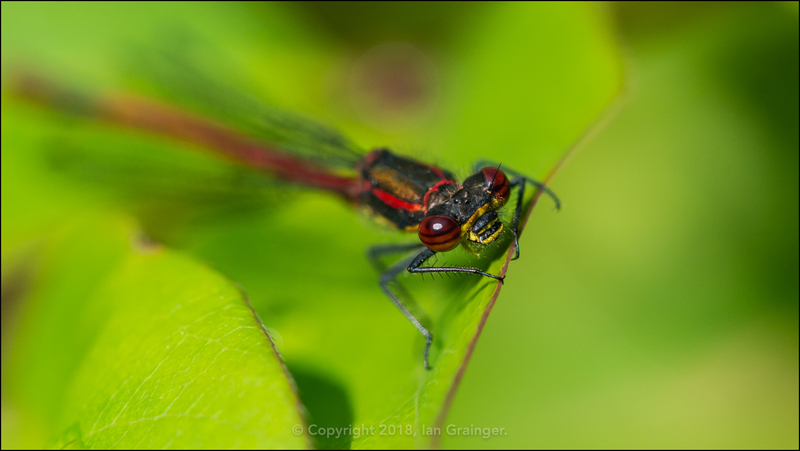 This Large Red Damselfly (Pyrrhosoma nymphula) was actually my first catch of the day. 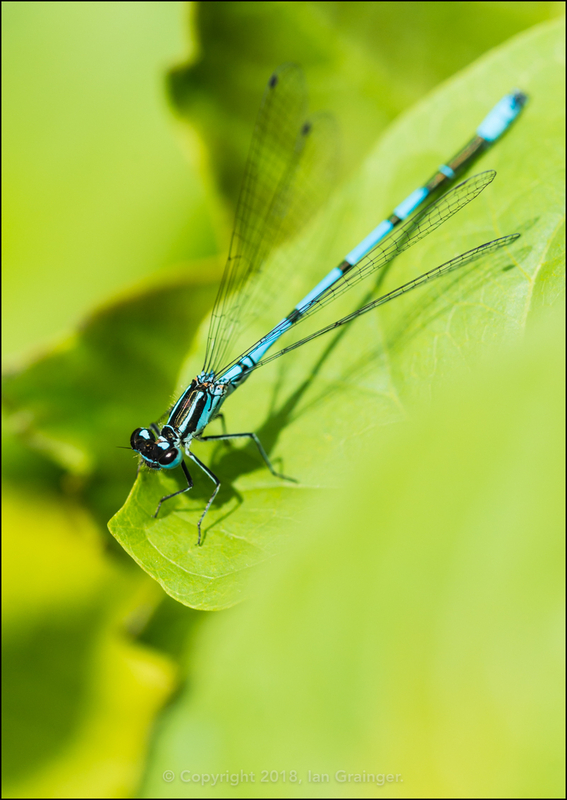 The Large Red was quickly followed by this Azure Damselfly (Coenagrion puella), which was sitting in the same bush only a couple of feet away. I had to wait a while for my next find, as rain interrupted play. 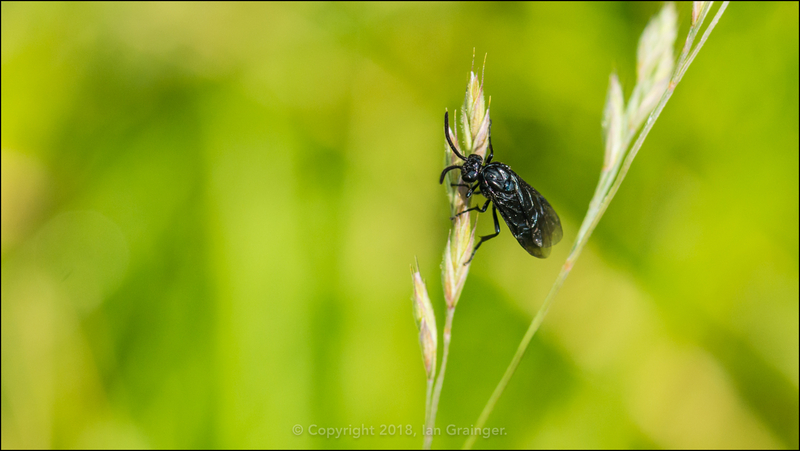 Then I came across this Berberis Sawfly (Arge berberidis) hanging out on a stalk of grass, right next to the Barberry bush I photographed last week. 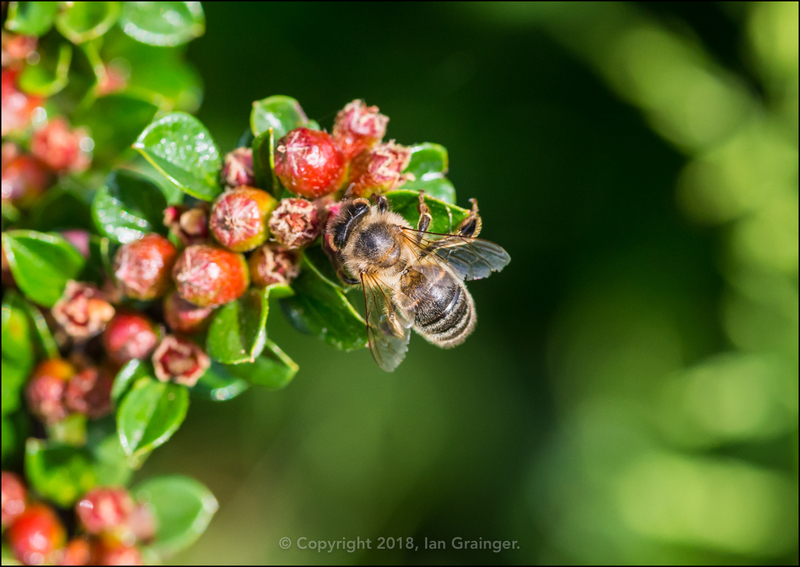 Funnily enough, as predicted last week, the Cotoneaster bush was playing host to quite a number of Honey Bees (Apis mellifera), which were relishing the tiny pink blossom. 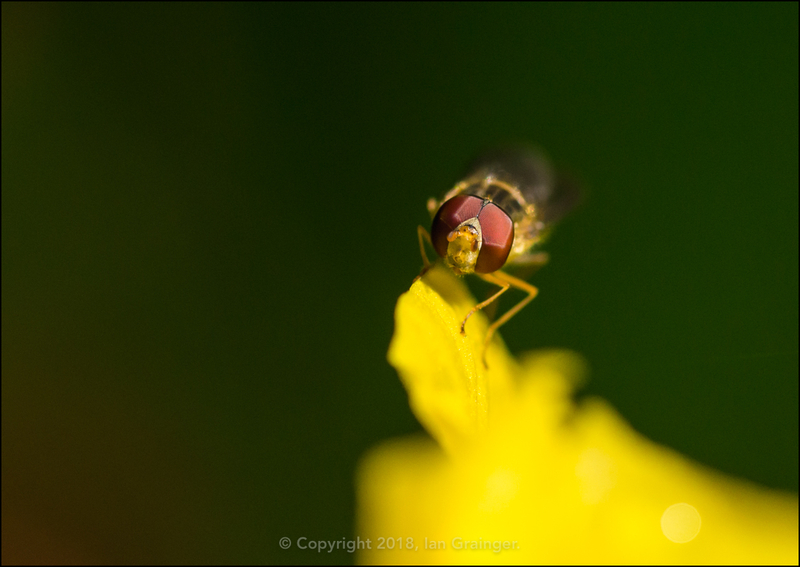 After another trip indoors to avoid rain, when I returned to the garden, there were even a few Hoverflies (Syrphidae) to be found. 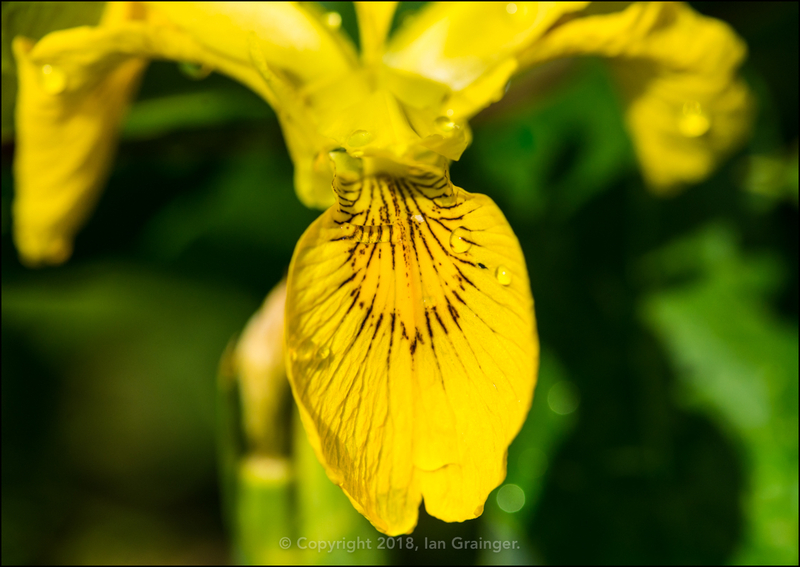 This one was collecting pollen from a Flag Iris (Iris pseudacorus) - see later on in the article for a better image of the flower itself. 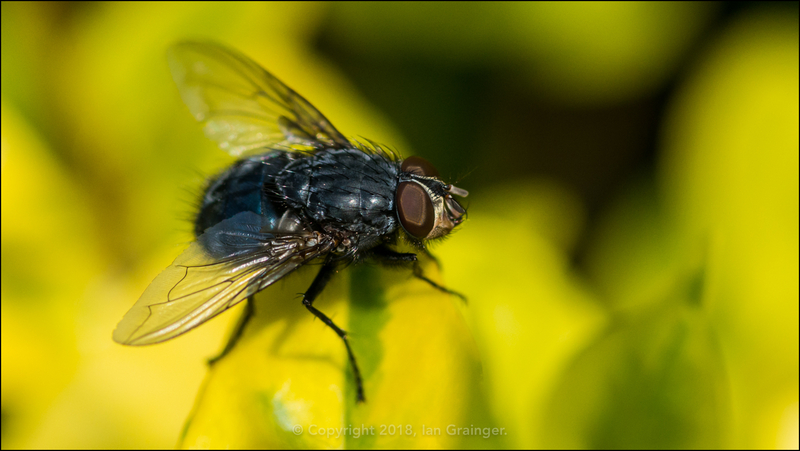 By the time the rain had stopped for good, there were quite a few flies, like this Bluebottle (Calliphora vomitoria), sunning themselves in the late morning sunshine. ...as well as the aforementioned yellow Flag Iris (Iris pseudacorus). 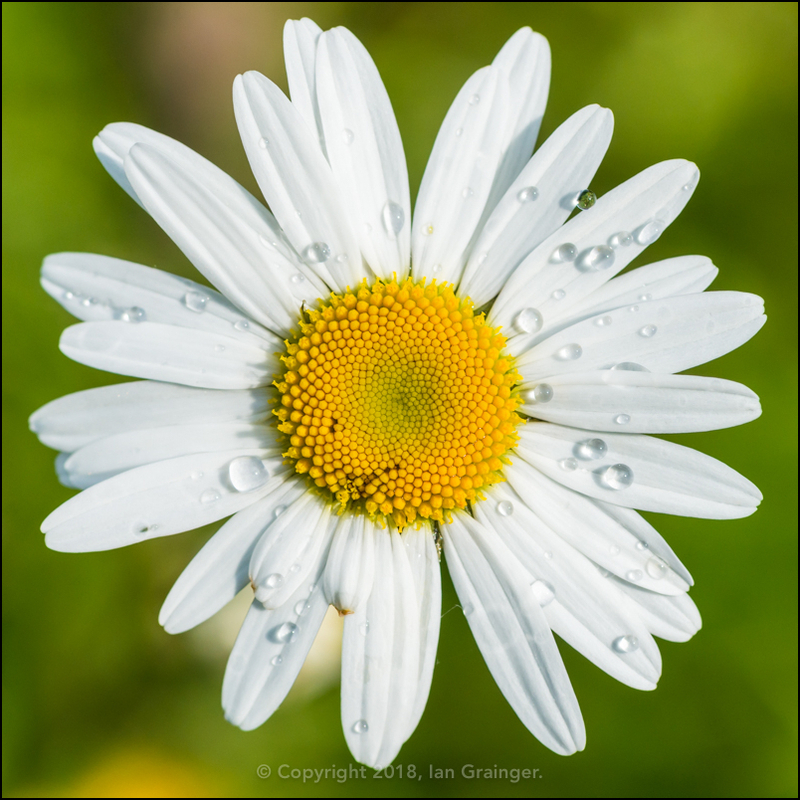 A real garden favourite with both myself and the insect hoards were the Oxeye Daisies (Leucanthemum vulgare), which were popping up just about everywhere. 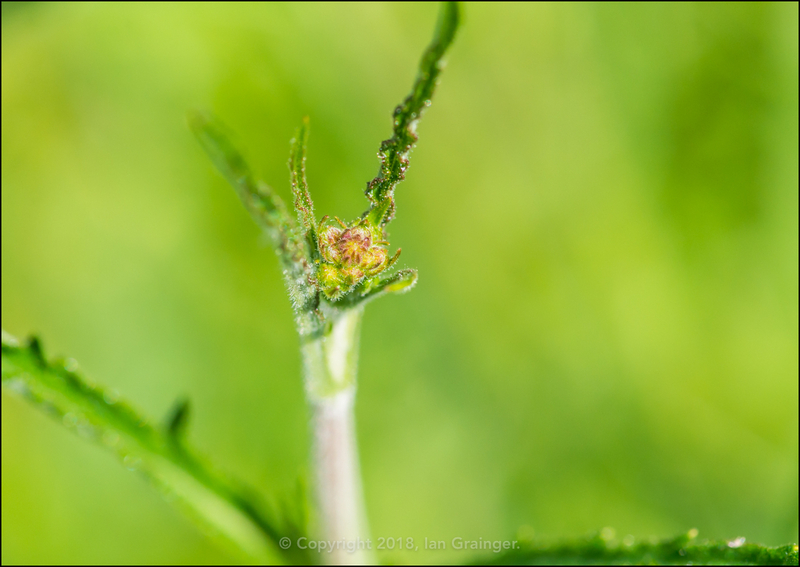 It wouldn't be long before the next batch of hardy Geranium blooms would be here. 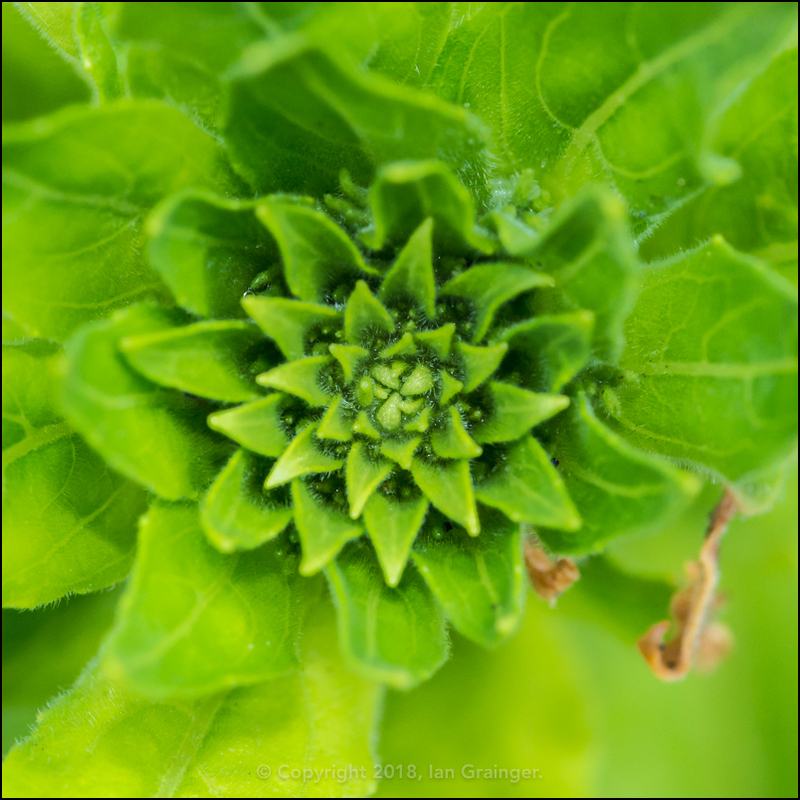 I really liked how the petals of this one were swirling around, keeping the contents of the inner flower safe. 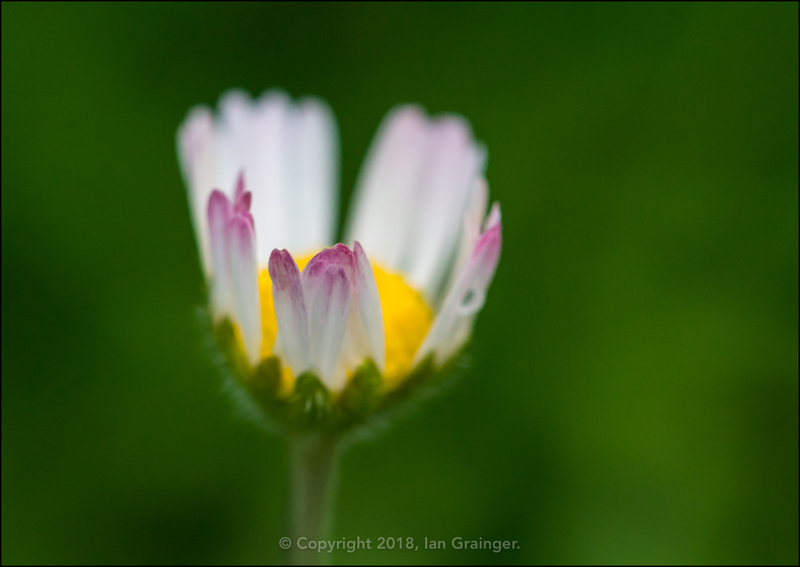 The Lawn Daisies (Bellis perennis) were looking particularly pretty in the lawn, and doing a good job of feeding hungry critters. 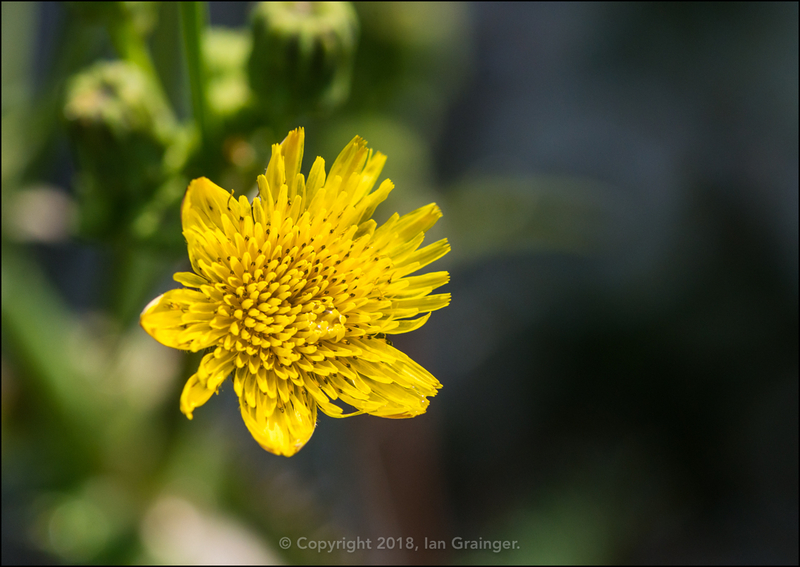 While the Prickly Sow Thistle (Sonchus asper) plants may look unsightly, they too were helping to sustain the insect population. 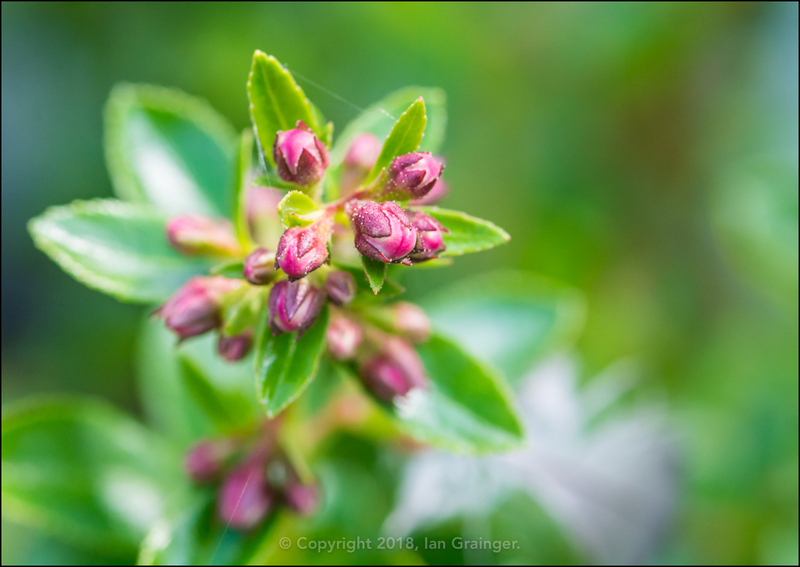 It wouldn't be long before the Escallonia bush was bursting into bloom, and would be another haven for the Bees and Hoverflies. I was very pleased to see the return of the Verbena (Verbena bonariensis) 'Buenos Aires' plants, which had grown in number, so must have self seeded themselves. 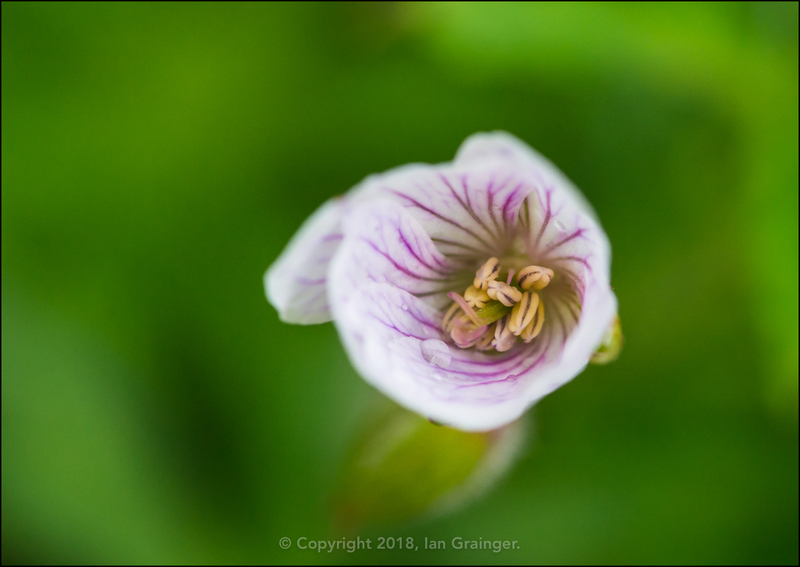 Another self-seeder was the Evening Primrose (Oenothera biennis), with many plants appearing in unusual locations - like this one, which was growing up through a bench on the patio. 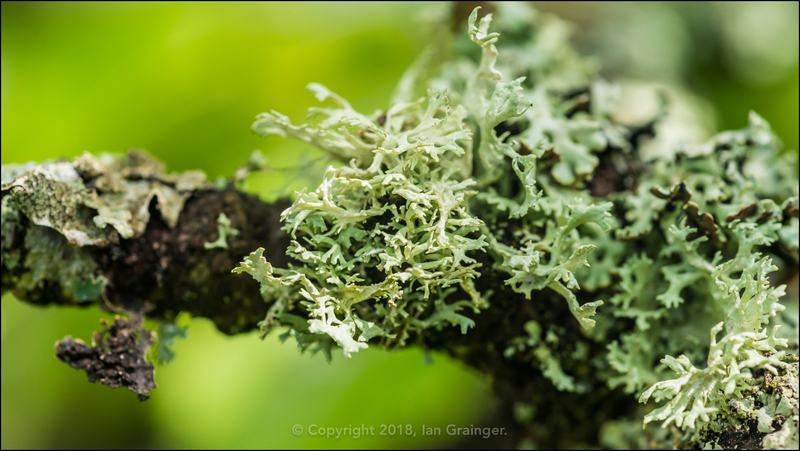 I hadn't noticed before, but it seemed that the Cherry Blossom Tree (Prunus) had been covered in quite a lot of Lichen. However, there's nothing to worry about, as it's completely harmless to the tree, as I've discussed before here if you're interested. Finally, my fishy friends. 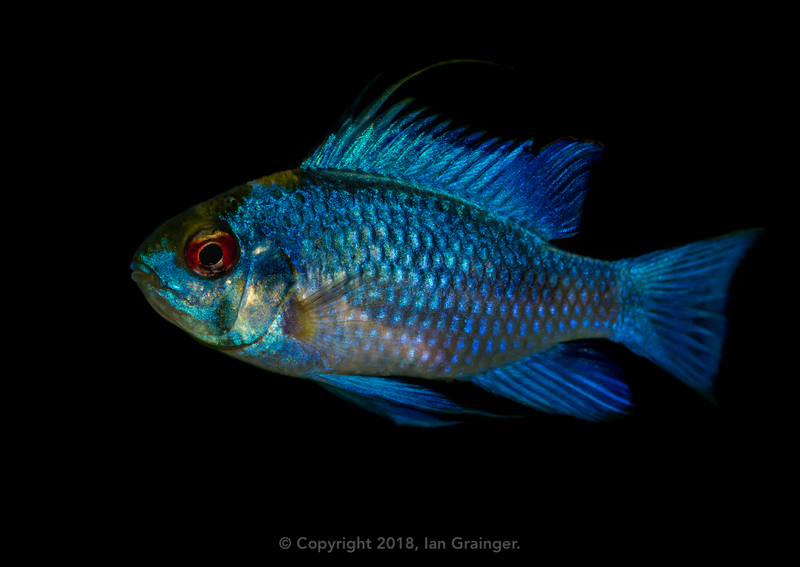 It's been a while since I shared a shot of Eric, my Electric Blue Ram (Mikrogeophagus ramirezi). He's still King of the tank, and from this pose, you can see why - the handsome devil!